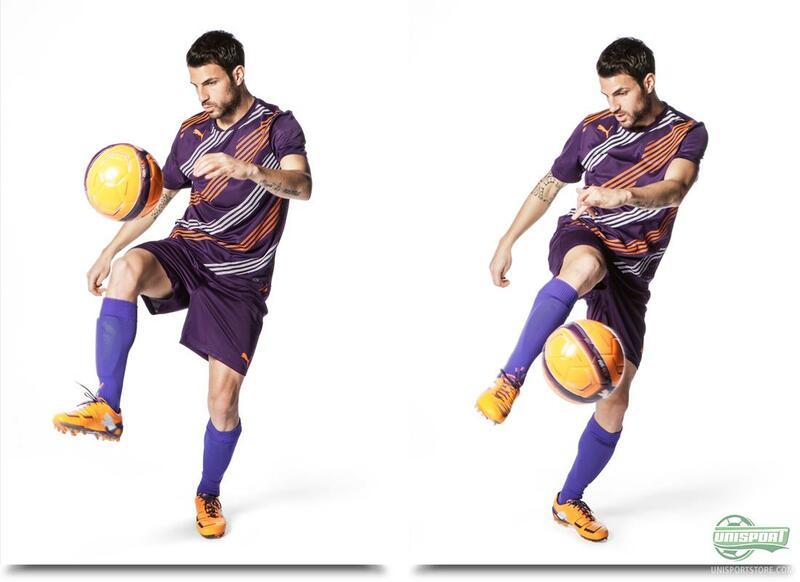 Puma have given their powerful Puma Powercat 1.12 a colourway update and it will be a sharp combination of orange and purple, which players like Fabregas and Marco Reus will wear and we take a closer look at it right here. 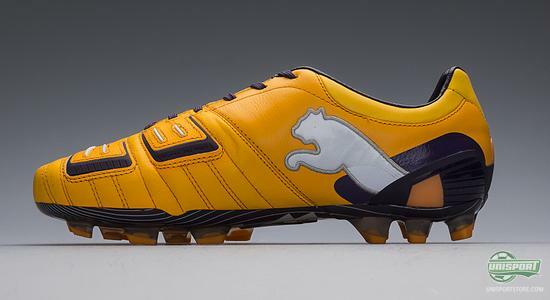 It truly is the season for colourway updates at the moment and the latest boot to get a fresh coat of paint, is the mighty Powercat 1.12. 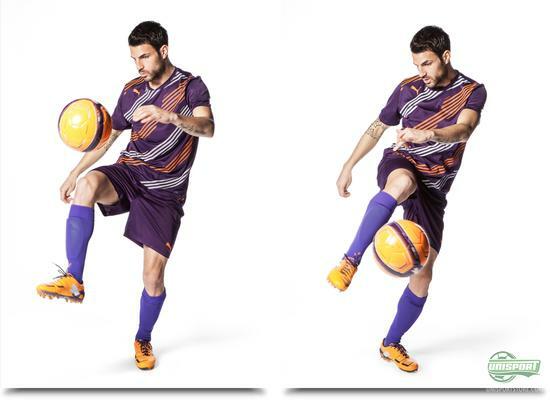 The boot is used to great effect by massive stars like Chiellini and Bacary Sagna and now they get to wear it in a sharp combination of Orange and purple, like the colours we saw on the newly unveiled Puma Evospeed 1.2. 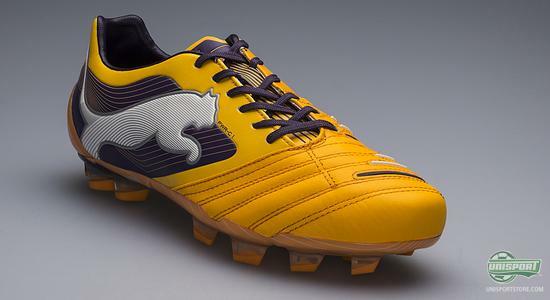 Unlike its light brother, the Evospeed 1.2, it is on the Powercat the orange colour, which makes up the majority of the upper, instead of the purple on the Evospeed. The mixture is very cool and gives the boot a very modern and fresh look, as it will try to compete for attention with the Nike Hi-Vis collection. If you want to get your hands on the new Puma Powercat 1.12 in Orange and purple, then you can already pre-order the boot right here  just 164. One thing you can't get around, when talking about the Puma Powercat is power. 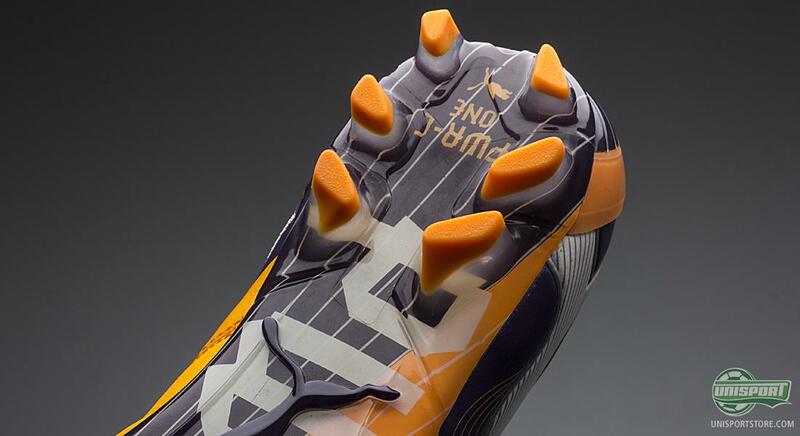 The boot is optimised to give you a strong strike and forceful drive forward. 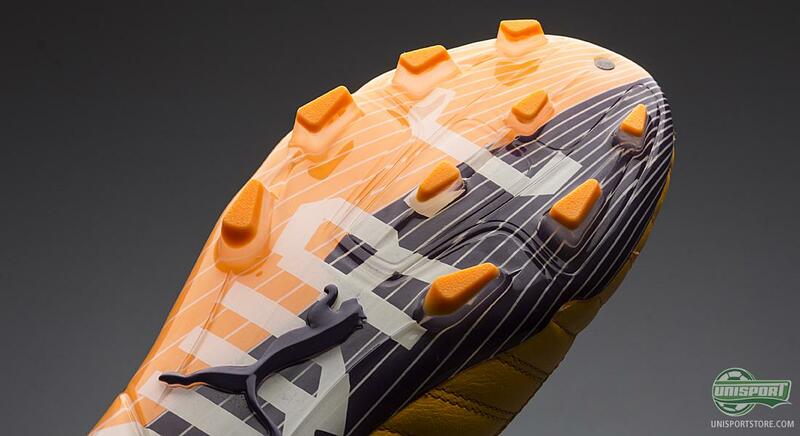 This does however not come on its own and this is why Puma have worked hard, with their most groundbreaking innovations, to make a boot, which is at the very forefront of football boot technology. 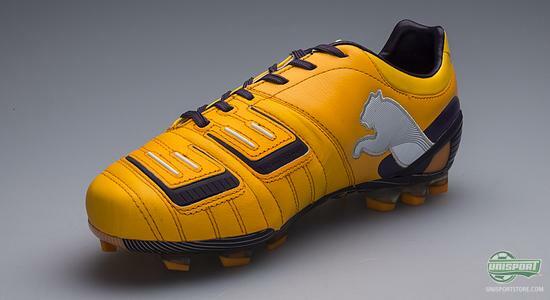 The comfort of the boot is something Puma value very highly and you definitely find just this in the bombastic beast of a boot, which comes thanks to the many comfort enhancing elements. First and foremost the foot is covered in an upper of high quality kangaroo leather, which moulds itself to the foots shape quickly. From the midfoot and back to the heel, microfibre takes over, which gives optimal stability, while also keeping the weight low. Precision and power is among the big focus areas on the Puma Powercat 1.12 and this comes thanks to the 3D Duo Power Shooting Technology, which is placed on the instep of the boot. The texture is produced from termoplastic material, which has two degrees of hardness. This means that the material retracts extremely quickly, when it comes in contact with the ball and then the stored energy that is produced is released, adding extra force to your strike. On top of that the texture, or fins if you will, also has a gripping effect, which creates better friction between the ball and boot. 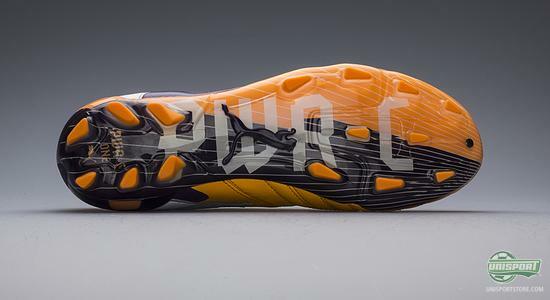 This helps give increased control of the ball and it is certainly no coincidence that Puma gone this way with the boot. Today's football play is very much based on control and this technology is definitely something midfielder Cesc Fabregas makes great use of when playing for Barcalona, as the Blaugrana is widely acknowledged as the most controlling team in Europe. The strike improving capabilities are certainly also in focus, when it comes to the lacing of the boot. Here they have chosen to make the laces marginally asymmetrical, so you get an even larger strike surface on the medial side of the boot. This doesn't only give you a very clean strike on the ball, but also a super touch, as there is more room for the super nice and soft kangaroo leather. 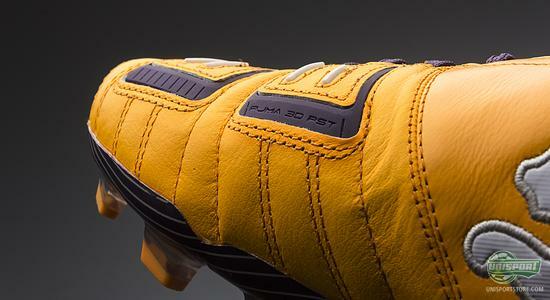 Underneath the boot Puma have used a flexible Pebax-outsole, which follows the foots natural movements, thus giving you the best possible comfort. It has been given a stud-configuration, which is made up of relatively narrow, bladed studs, which gives the optimal acceleration and pitch grip. If you are however scared this might hurt the stability, you can rest assured this is not the case. This is because on the heel of the boot it is not the standard four studs you find, but instead six studs. This gives you plenty of stability and on top of that the Puma Powercat 1.12 has a very wide last, especially around the front foot. This means you get a firm and stable grip, so you don't risk twisting your ankle, or other painful injuries like it. It will be exciting to see the new boots in action and that might already be tomorrow, when Barcelona face Ajax at home in the Champions League. We will definitely be looking out for the forceful Orange and Purple cat. The Puma Powercat 1.12 is a powerful and technologically advanced boot, which Cesc Fabregas prefers when fighting to take Barcelona to the very top. 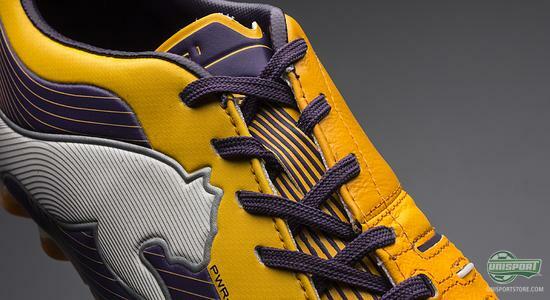 What do you think about the boot's new colourway? 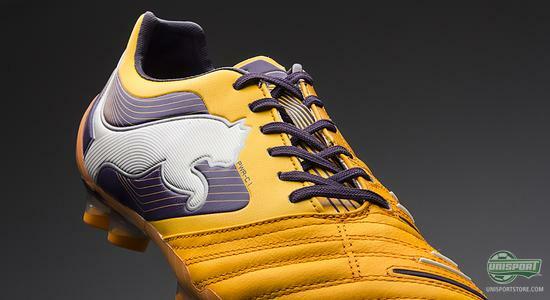 And is the Puma Powercat 1.12 just what you have been looking for? As always we would love to hear your comments in the box down below, or on Twitter and Facebook.